Not to be outdone by Marvel Studios’ Captain America: The Winter Soldier this weekend, Sony has released this preview of their The Amazing Spider-Man 2 trailer that will air Sunday during the Super Bowl. I’m still convinced that Marc Webb & Co. have crammed too many villains into this sequel (they should know better after Spider-Man 3), but this still looks like it could be a lot of fun. Well, it’s probably less fun for Emma Stone’s Gwen Stacy, who is falling at breakneck speed at the end of this clip. That usually doesn’t end well for her. Marvel’s posted a trailer for the trailer you’ll be watching this Sunday during the Super Bowl. It’s not much to get excited about at just 16 seconds, but on what we’ve seen so far from Captain America: The Winter Soldier, this film could be the most surprising Marvel Studios release yet. Oh man, that’s good. You know what? I’m not even angry. Let’s just cast Jonah Hill as Ra’s Al Ghul or something and get this over with. Warner Bros., you’re…. something. In addition to the 30-year-old Jesse Eisenberg being confirmed as Lex Luthor in the unnamed Superman-Batman film, Jeremy Irons will play Bruce Wayne’s (Ben Affleck) faithful butler Alfred Pennyworth. At least that’s somewhat reasonable, but then again, I’m a huge Die Hard with a Vengeance fan. For the full story, head over to Deadline.com. We can probably all agree that South Park doesn’t have the best track record in the world when it comes to video games. Remember the first-person shooter by Acclaim? I’m trying not to. That being said, Ubisoft and Obsidian’s long delayed South Park: The Stick of Truth looks spectacular — largely because of the close involvement of the show’s creators Trey Parker and Matt Stone. I never thought I wanted a South Park role-playing game at this point in my life … but here we are. Check out this behind-the-scenes look at South Park: The Stick of Truth, slated for release on March 4. Is 'Star Wars' Getting the Pixar Treatment? 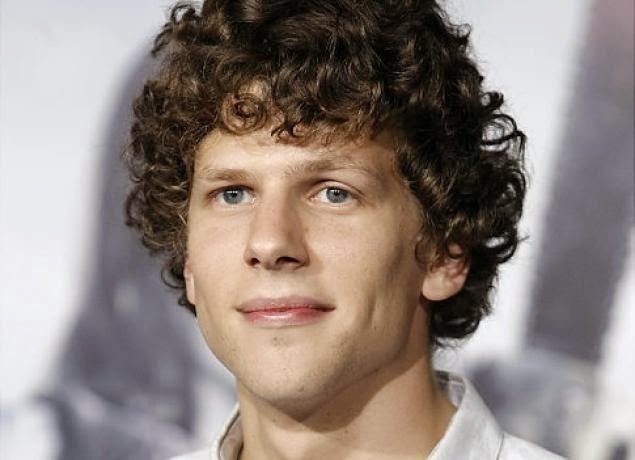 Just days after J.J. Abrams revealed the completion of the Star Wars: Episode VII script, LatinoReview.com reports that Pixar will be producing a film set in George Lucas’ galaxy far, far away. This news has yet to be confirmed in any official capacity, but it pretty much makes perfect sense. Pixar has been responsible for some of Disney’s most successful animated films over the past two decades, and Star Wars will be a brand to watch over the next few years as Disney continues to expand the franchise across all media platforms. If this report turns out to be true, let’s hope Pixar’s take on the Star Wars saga is more WALL-E than Cars. It’s funny. As much as I seem to love the sound of my own voice in the real world, it’s always difficult for me to open up about my life on my own blog. Perhaps it’s because my work-dominated schedule isn’t as interesting as the goings-on in the geek world at large, or maybe it’s because I’m clinging to some form of privacy in the Instagram/Twitter/Facebook era. Then again, if you follow me on those platforms, you’re already privy to at least some of the salacious details of my 30th birthday party (Wortmania) and are familiar with my growing collection of nerdy bottle openers. I might be the worst kind of hypocrite. That being said, I rarely blog about my life outside of comics, collectibles, movies and the like, so what I’m about to say might come across as a bit out-of-character in this space. If my 30th birthday and its associated celebrations have taught me anything, it’s that I’m surrounded by some of the most caring, creative and fascinating people imaginable. And since my my real-life and online friends make up the bulk of my modest audience on The Wort Report, I thought it would be only appropriate to use this forum to formally acknowledge how much you are appreciated. I have honestly never felt more fortunate than I do right now, and even a week removed from my birthday, I’m still overwhelmed by it all. If a person is defined by the company they keep, I must be doing something right. The image above kind of proves my point. It was made by my friend Ann Marie. She likes cows. 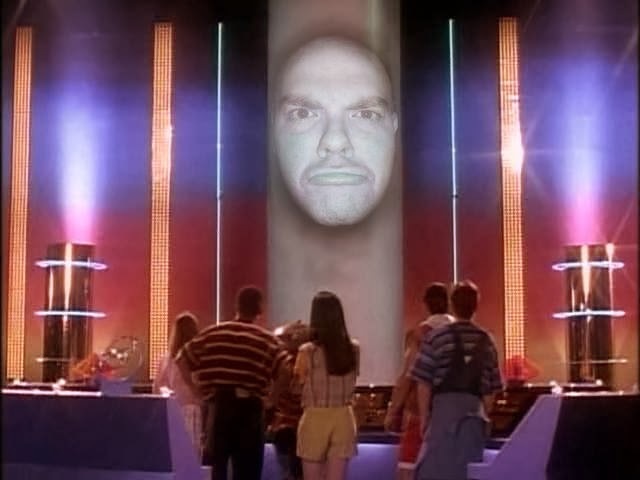 And yeah, I guess I do kinda have a Zordon thing going on. Are You Ready for The Marvel Experience? Marvel’s getting really good about giving us new reasons to fork over our money. In 2014, the Disney-owned enterprise will begin touring the United States and Canada with The Marvel Experience, a massive traveling carnival of sorts that offers games, rides, short films and more attractions themed after our favorite ”Excelsior”-worthy characters. 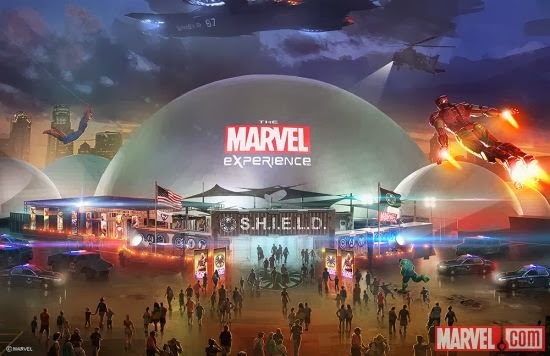 All of the action will be spread across two acres in a multi-dome complex made to resemble a temporary S.H.I.E.L.D. command center. I’m so in it’s not even funny. For more on The Marvel Experience, head over to Marvel.com. Boba Fett 'Star Wars' Movie in Pre-Production!? Get some Death Star-sized grains of salt ready. 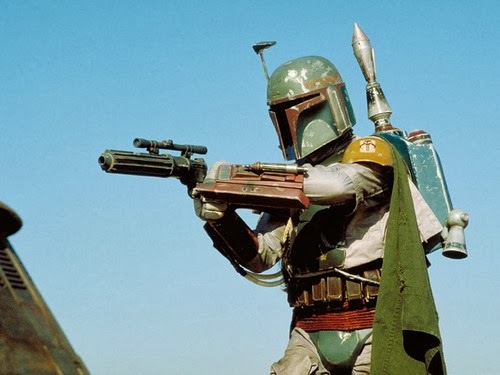 As revealed by Metalocalypse director Jon Schnepp in a recent AMC Movie Talk, Boba Fett looks to be the focal point of Disney’s first Star Wars spinoff film, which will be penned by The Empire Strikes Back scribe Lawrence Kasdan. This has all yet to be announced officially, so keep that in mind. Even though just about all of the iconic bounty hunter’s mystique was clumsily stripped away in Star Wars Episode II: Attack of the Clones, I think there’s a ton of potential for a Boba Fett solo film as long as it takes things somewhat seriously and somehow makes us forget that he went out like a chump in Return of the Jedi. Schnepp breaks the news at around the 4:13 mark below. Are you excited, or do you think this is a load of bantha dung? Will Deadpool Kill the 'Star Wars' Universe Too? I’m days late on this, but when has that ever stopped me before? 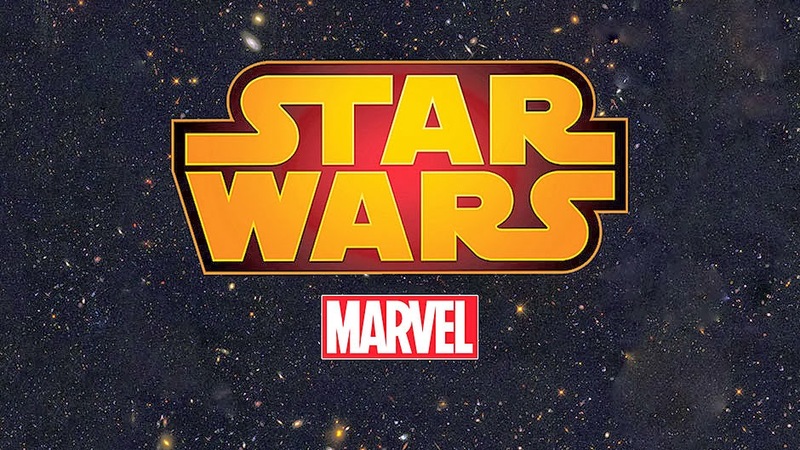 As announced last week, Marvel has been granted exclusive rights to publish Star Wars comic books and graphic novels in 2015, marking the first time The House of Ideas has produced new stories set in George Lucas’ galaxy far, far away in nearly three decades. This new deal, brought about by Disney’s ownership of both Marvel and Lucasfilm, ends the Star Wars brand’s successful association with Dark Horse Comics, which began back in 1991. 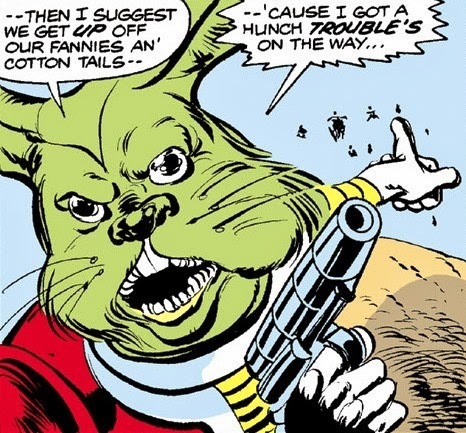 And you thought people hated Jar Jar Binks. For more, head over to Marvel.com.